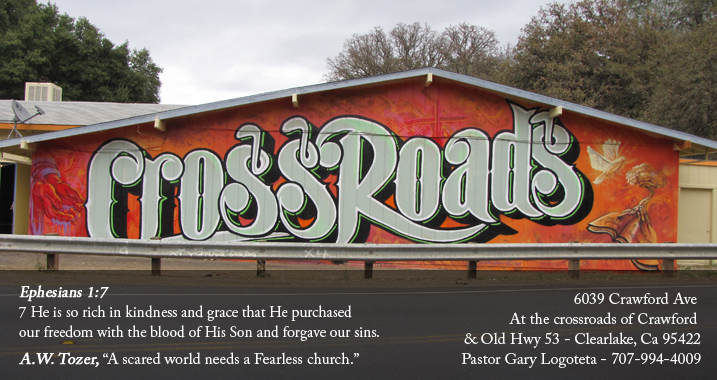 Crossroads: A 21st Century Church Where Everyone is Welcome! We are a very grace-filled and accepting church that preaches God's Word! A church where everyone is welcome unconditionally. We’ve seen the transformation hundreds of times - people who came to us full of doubt and hopeless become secure in the knowledge of their rightful place in God’s great Kingdom and become hope-filled. The change may start slowly - in a Bible Study, through worship or during a conversation, perhaps - but once it begins, it picks up speed. The good works, shared experiences, time spent in prayer - all bring us closer to a fulfilling life of hope and joy unspeakable! Take the first step toward developing a relationship with Jesus - join us Sunday at 10am for our service this weekend!